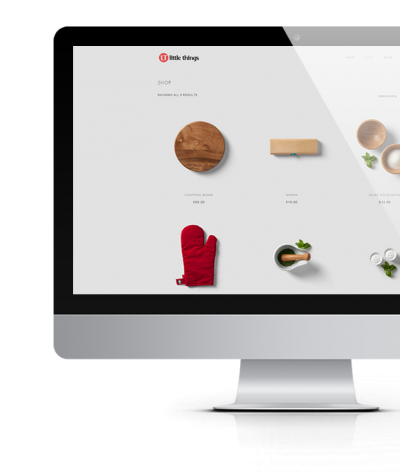 Mio Shop is an exquisite and minimalist eCommerce (WooCommerce) theme that directs visitors’ attention to the products rather then design. 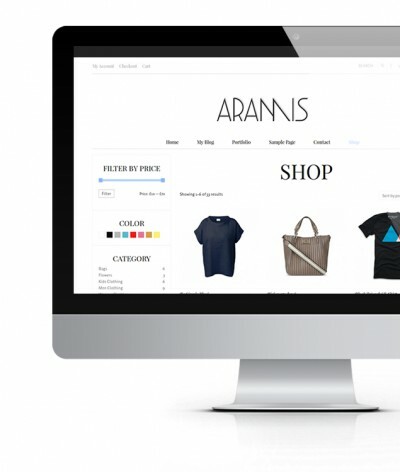 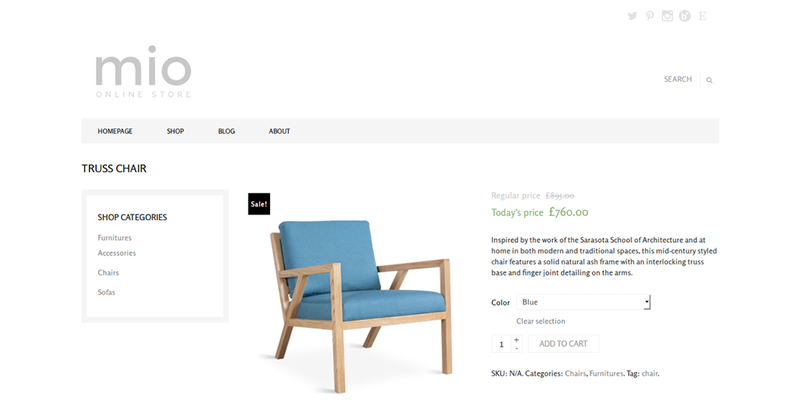 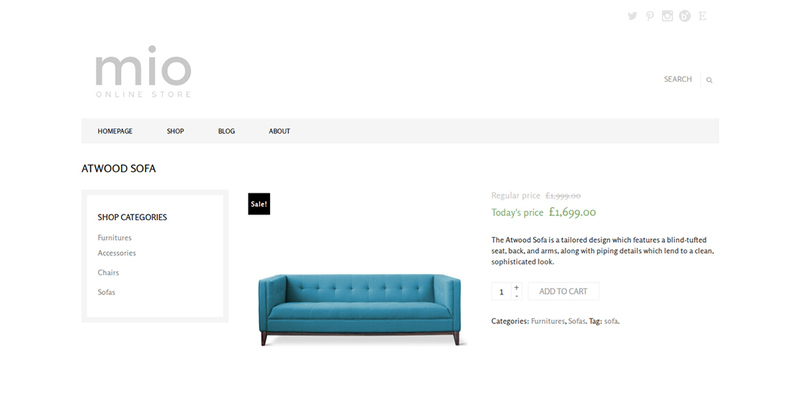 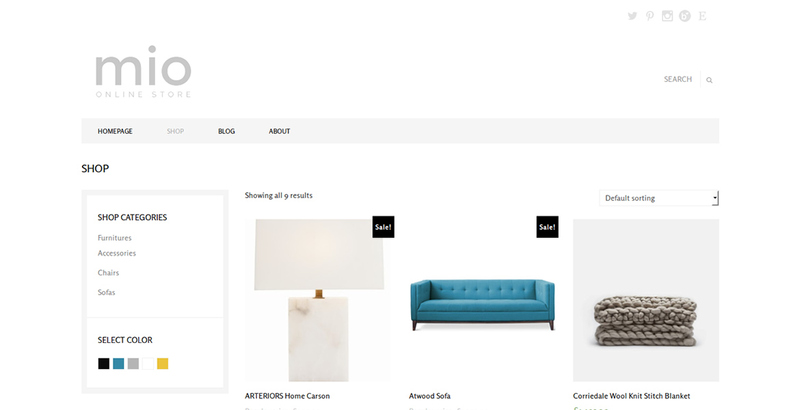 Apart from the contemporary and minimal design there is also a powerful Theme Option panel that let’s you to customize almost every details of your new & shiny eCommerce store. 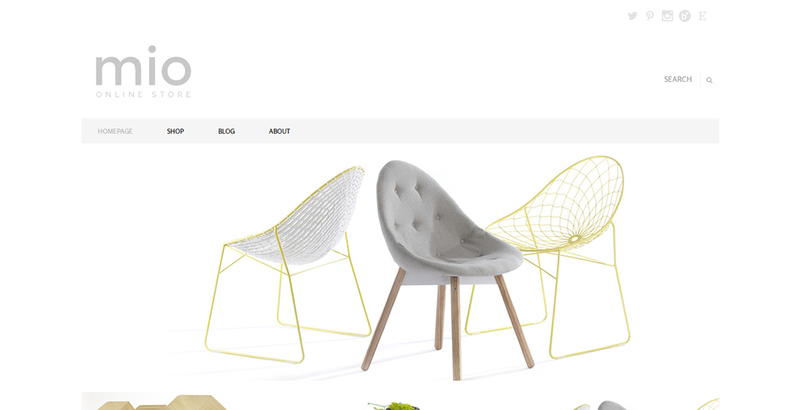 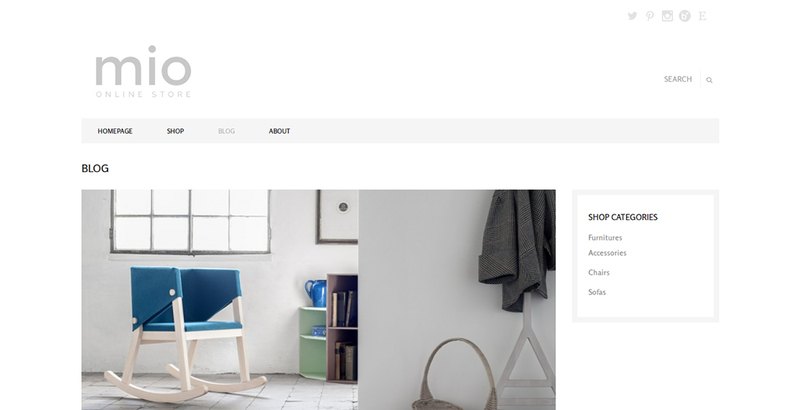 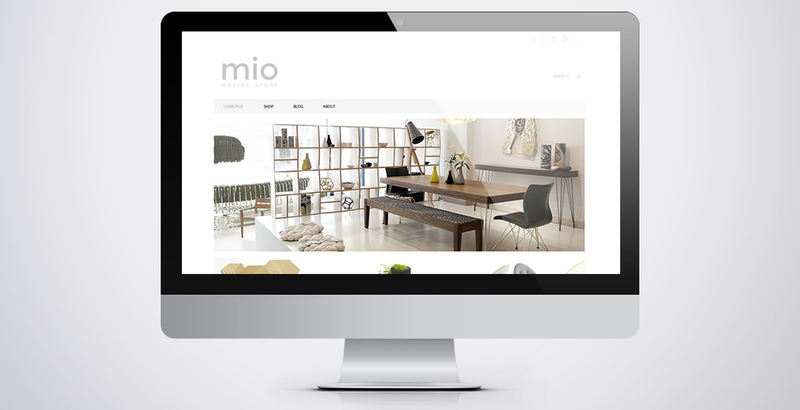 Sell with confidence and set up your elegant e-store today with Mio Shop WordPress template. 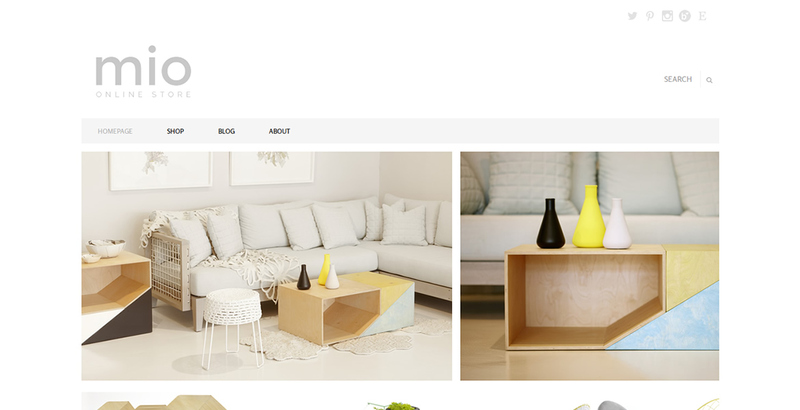 500+ Google Fonts applied site-wide or for individual elements. 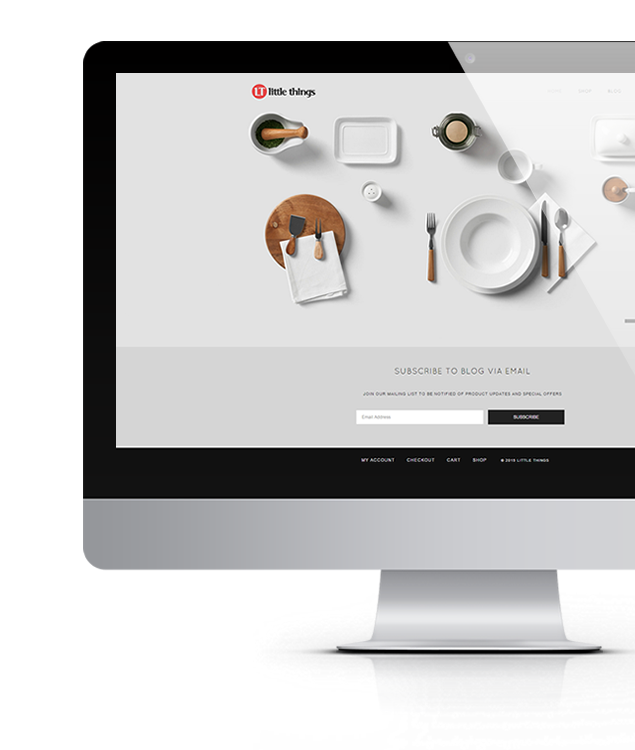 Add links to up 12 different social networks. 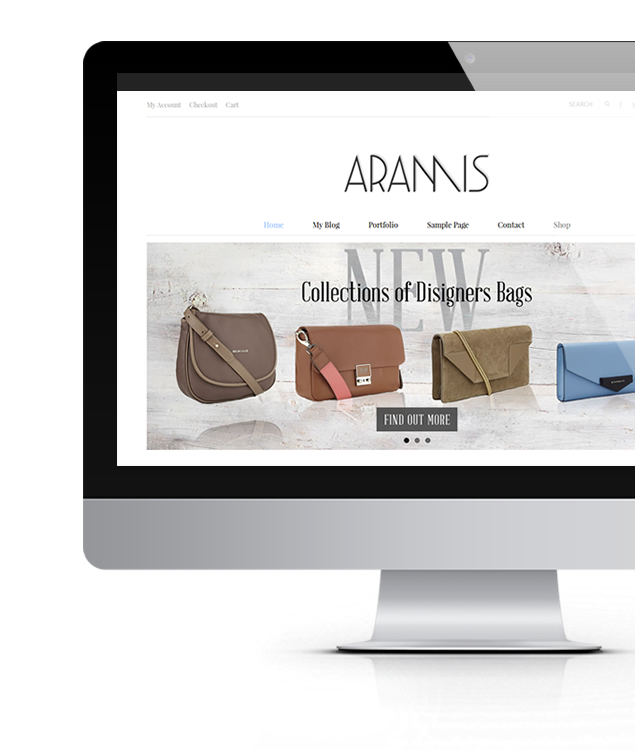 Fully compatible with WooCommerce 2.1 and WordPress 4.1.